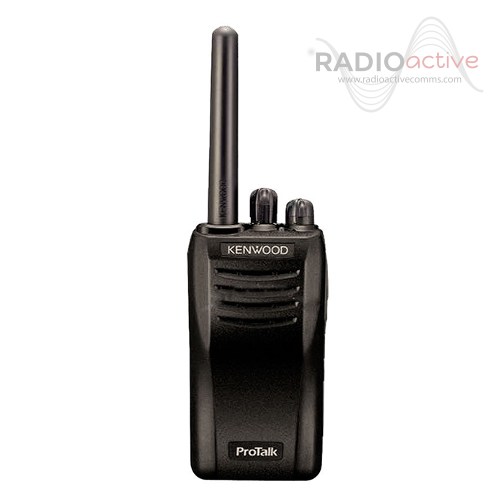 The Kenwood Protalk TK3501 is the latest addition to Kenwood's fleet of licence free handheld radios. This is one of the replacement models to the hugely popular, TK3301, TK3201 & TK3101. The Kenwood TK3501 operates on analogue PMR446 licence free frequencies. Another version of this radio is available, the TK3401DT which is one of few licence free radios that is capable of utilising both analogue and digital modes. We are huge fans of Kenwoods' build quality, and this licence free option is no exception. Robust, tough and ready to use. There are many Kenwood accessories available for the TK3501 that are compatible with older model. Please see our accessory category or related products below. © Copyright Radio-Active Communications Ltd All rights reserved. Two Way Radios, Walkie Talkies and Accessories for sectors across the UK. Specialising in radio engineering in adverse environments.